The Goddess of the Racing Circuit - Racing Miku 2012! 'GSR&Studie with TeamUKYO' is a racing team that took part in the 2012 season SUPER GT300. 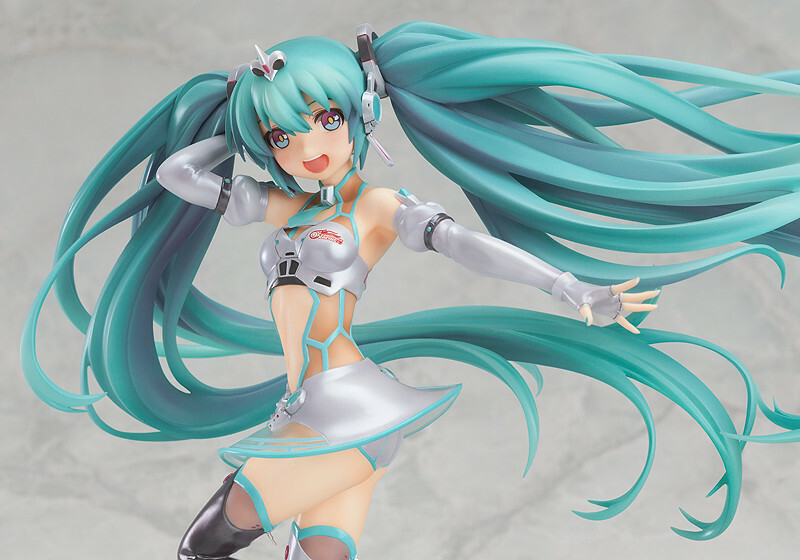 The official mascot of the team, 'Racing Miku' was designed by GAN, and has now been transformed into a 1/8th scale figure for fans to enjoy! 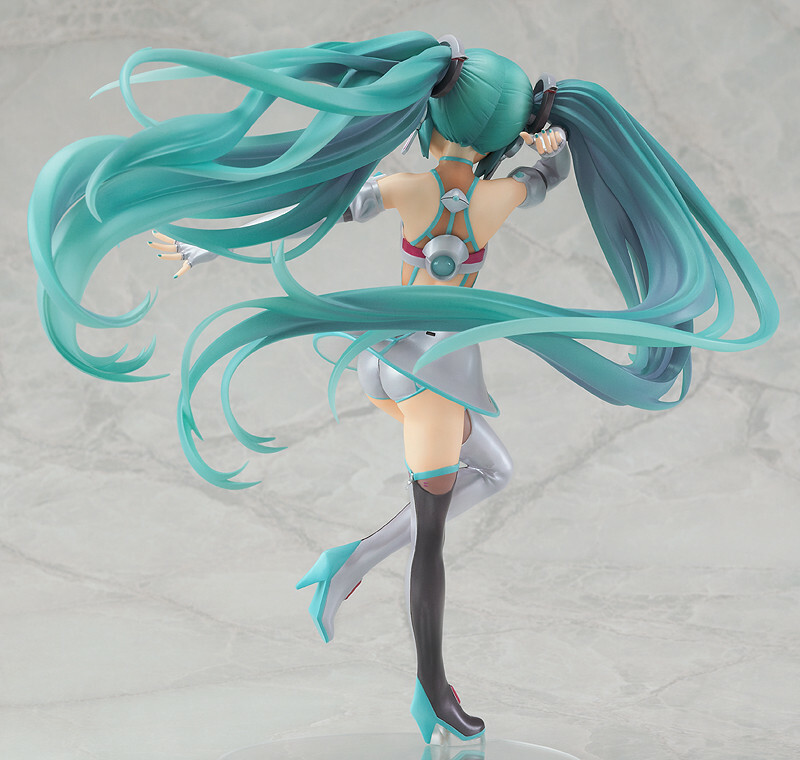 It's a figure filled with highlights such as her unique transparent costume, detailed paintwork throughout the figure, and the dynamic sculpting of her hair! Orders can be placed between the 14th February 2013 (Thu) from 12:00 until the 20th March 2013 (Wed) at 21:00.